The "Biblioteca filosofica", founded in Florence as a theosophical society on the initiative of some scholars, to spread both the study and the knowledge of oriental philosophies, organized series of lectures and seminars and published its own Bulletin. It was a lending library that lent out books to its members. It became a non-profit institution in 1908. Lively center for philosophical discussion, originally with no academic purposes, it was the meeting place of early twentieth century cultural movements, from pragmatism, to idealism, to modernism. At the approach of the first world war, interest in psychology and social subjects became increasingly accentuated. Arrigo Levasti (18861973) was at the head of it from 1921; afterwards it underwent several vicissitudes, among them two removals. It was finally suppressed on the brink of the second world conflict as a consequence of a provision of the fascist government and its book collection was incorporated into the library of the Faculty of Humanities of the University of Florence. Former library of the non-profit institution "Biblioteca Filosofica", it was incorporated into the library of the Faculty of Humanities in 1942 as an autonomous collection with its own catalogue. It consists of around 9,800 volumes from the 16th to the 19th century (among them 68 printed books of the 17th century), concerning, besides philosophy, the history of religions, oriental religions, natural science and psychology. It had its own catalogue published in 1910, with a "Supplement" in 1913. Bibliography: E. Garin, Cronache di filosofia italiana 1900/1943, Bari, Laterza 1955, cap. II; E. Garin, E. Di Carlo, A. Guzzo, Le biblioteche filosofiche italiane, Torino, Edizioni di «Filosofia» 1962. 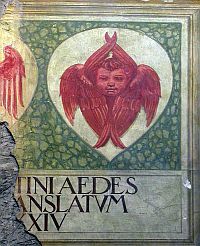 Catalogo della Biblioteca filosofica, Firenze, giugno 1910. Catalogo della Biblioteca filosofica, Supplemento n. 1, Firenze, gennaio 1913.